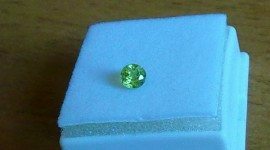 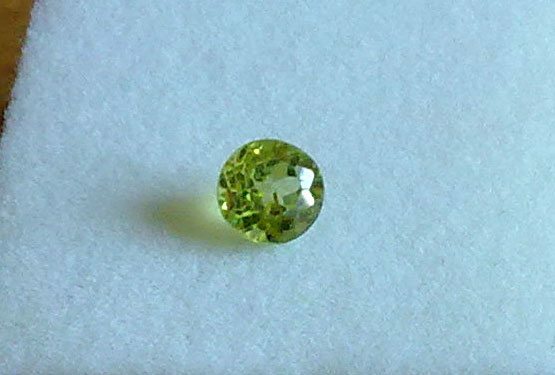 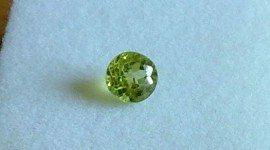 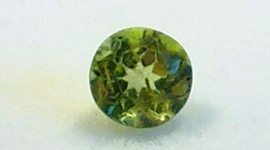 This natural peridot loose gemstone show a very attractive olive green color, well satured witha nice round brilliant cut that increase the sparkle of this natural gemstone. 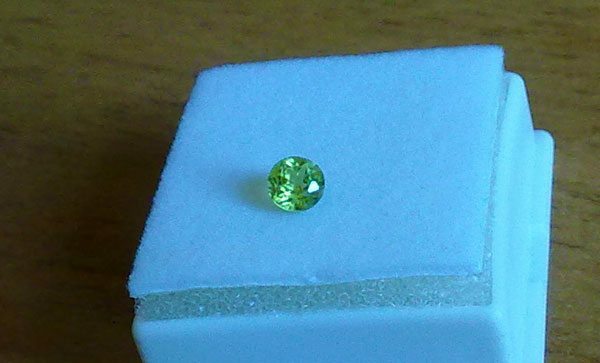 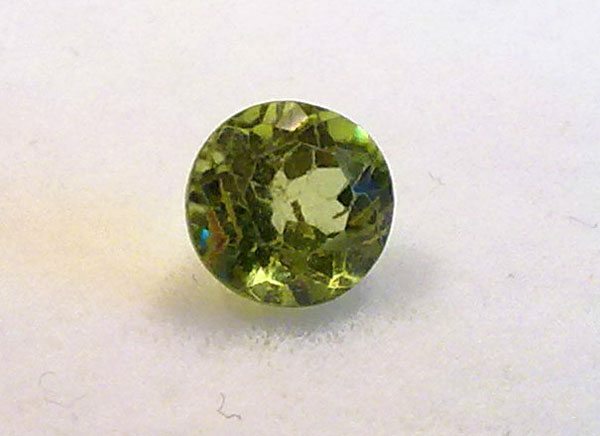 This natural peridot comes from Pakistan has some minor inclusion and a 0.60 carat weight. 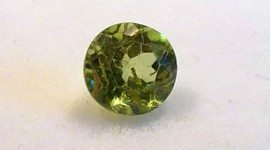 This peridot is offered at a very reasonable price and is perfect to be set in a singular jewel like a silver ring or a pendant.